Hey there! Thanks for dropping by third eye view! Take a look around and grab the RSS feed to stay updated. See you around! Aha did you miss me blog world? yea right. baaah. 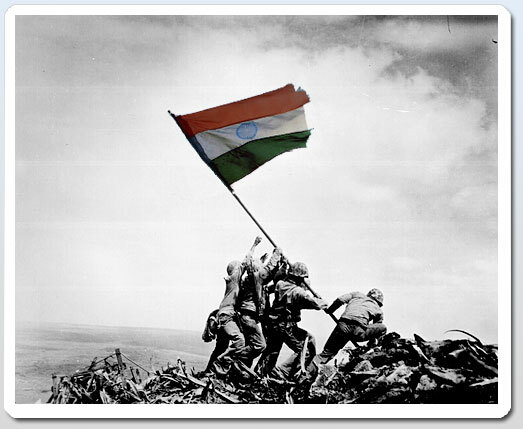 anyways ‘aapy Republic day everybody! with that I have a confession to make. For some reason I had forgotten when India became a republic. Anyone? come on dont google it! Well if you knew it then bravo, but I blanked out and hesitantly sputtered the wrong answer :( Well first to my wrong answer, I said 1947 :| Now honestly whoever thought the same raise your hands. Yea even if others think you are weird raising your hand looking a computer screen, doesnt matter! raise’em UP! But once I knew it was wrong it all came back to me, thank god! Well we became a republic in 1950! So with that note and with more to come of my new adventures of the old shiva, aha thats pretty cool too! ah well, adios amigos. The one good thing about Boston is that whatever happens, it will give you some reason to cheer! All you had to do was to look out your office window and there they were, Boston Red Sox walking by with our new jewelery. John Lester is my hero for one or more reasons, but we painted the town red for all of them. Listen to our theme and tell me if you don’t start tapping your feet! Go Sox. Why 4-Wheels when you have three? This was brought to my attention by one of my good friends and its pretty interesting…how will you like to travel around India in an autorikshaw!!?? well I am not going to arrange a trip for you but you sure can help a bunch of folks who are doing it for a good cause. Visit here for more info and remember, small drops make a mighty ocean ;) so doesnt matter how much you give, as long as you give! Peace. Mike’s gotten some nice poster ads on his blog! Chk it out, they are priceless! When a game you like joins the song that you love, I guess this is how it ends up. I caught a glipmse of the most awaited MOHAB last night…I was totally disappointed with the Pacific Assault version of MOH that our clan still plays MOHAA with Breakthrough Expansion :( But looks like MOHAB is worth the wait…hopefully it should release in Jan like its supposed to and not be postponed again like it has been so far…I dont know about you guys but we are gearing up with the hardware for the clan to go back to clan wars on MOHAB :) Click here for a sneak peek ! Woot has the Roomba for 149 bucks, thats half the price that it sells for. So if you planning to get one, now is the time! Update: Sorry folks, its sold out.